The Swiss Press Club in Geneva enjoys an excellent reputation: since its founding it has organized more than two thousand events with illustrious speakers from Fidel Castro to Henry Kissinger. However, at the end of November 2017 a presentation was announced that would deal critically with the Syrian White Helmets, an activist group popular in Western media. The British organization The Syria Campaign learned about this – and immediately called for the cancellation of the event. Similar requests were then made by the director of the Washington Syria Institute, a well-known Senior Fellow of the Atlantic Council, the Syria representative of the German Heinrich Böll Foundation, a British Middle East diplomat, and other players on both sides of the Atlantic. Press Club director Guy Mettan, former editor-in-chief of the daily newspaper Tribune de Genève and author of a critical book on the Ukraine crisis, however, went ahead with the event – noting that prominent Kremlin critics had spoken at the Press Club, too. Mettan was then referred to as a „mouthpiece of Russian propaganda“ and an „apologist of the Putin government“ on Swiss public television RTS. The Financial Commission of the Canton of Geneva, as the main sponsor of the Press Club, subsequently requested the cancellation of all subsidies to the organization, and the president of the Geneva government called on the board of the Press Club to take the „necessary measures“ – i.e. to dismiss Mettan. Unsurprisingly, some felt reminded of authoritarian states by this approach. Others were surprised that Reporters Without Borders would demand the cancellation of a journalistic event. 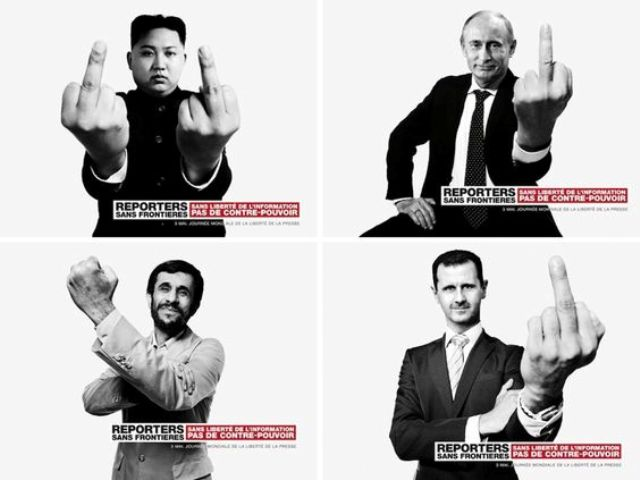 Yet Reporters Without Borders is co-funded, via the NED, by the US government, and used its reputation already in the past to attack geopolitical opponents and dissenters at decisive moments. But above all, this incident shows once again the narrow limits faced by journalists in NATO countries and even in neutral Switzerland when covering geopolitical issues. Though you will hardly learn about this by reading the annual reports of Reporters Without Borders.